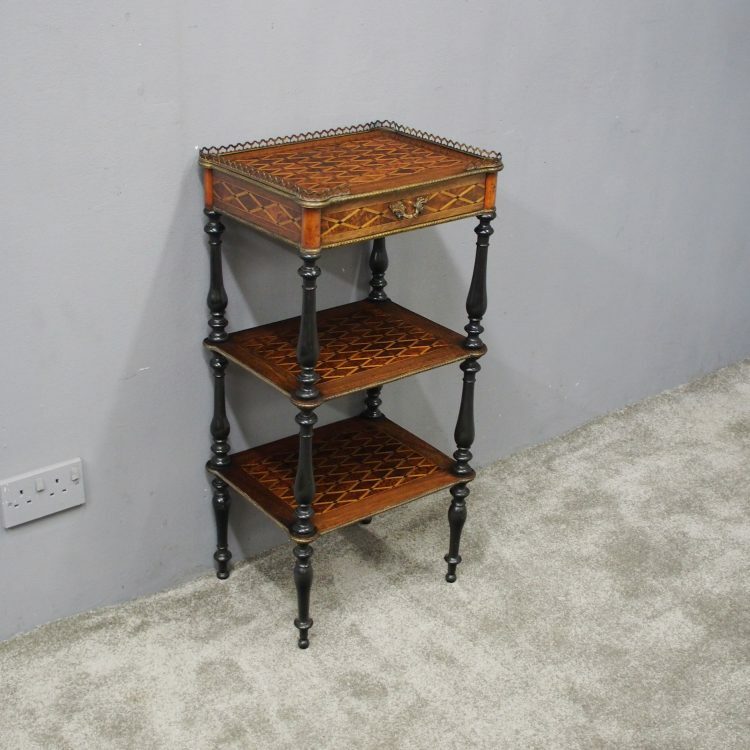 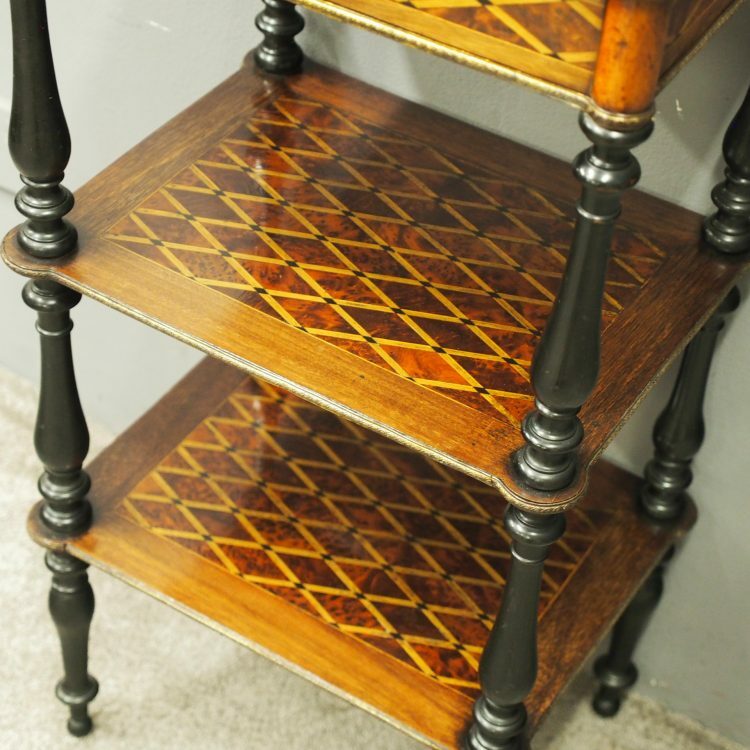 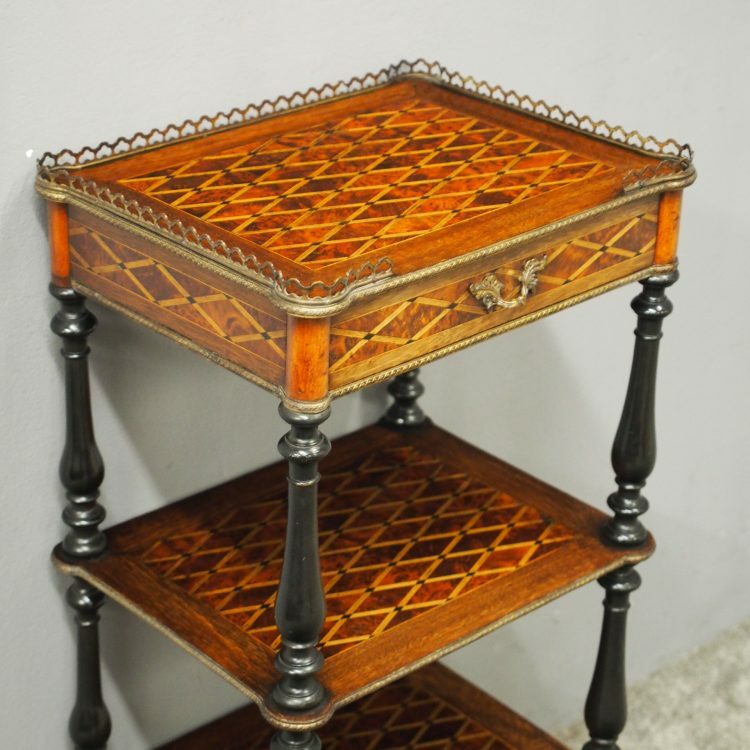 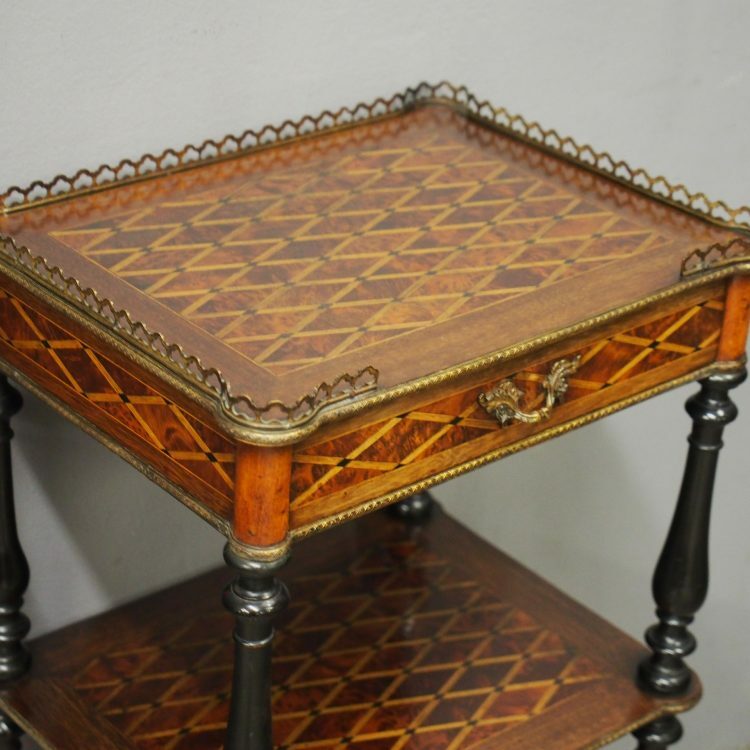 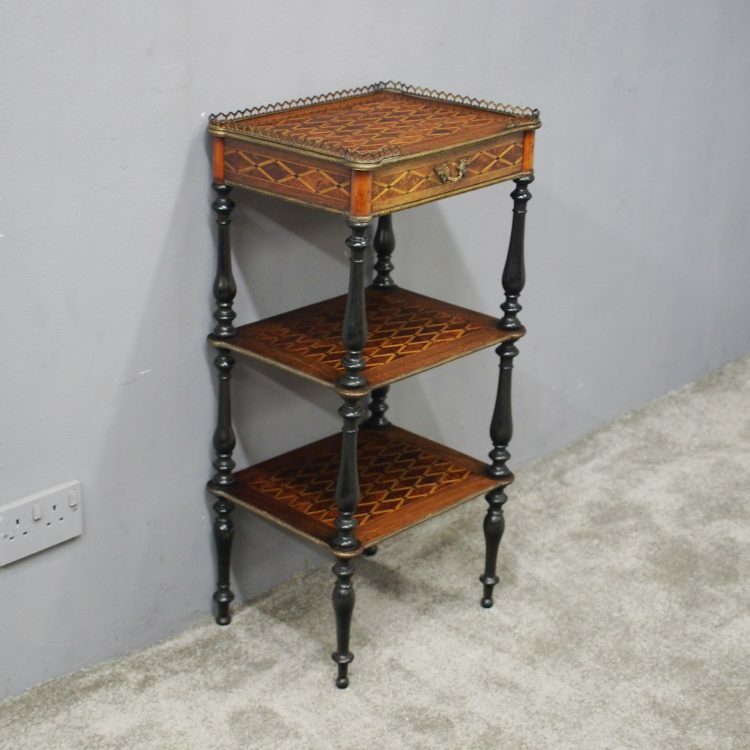 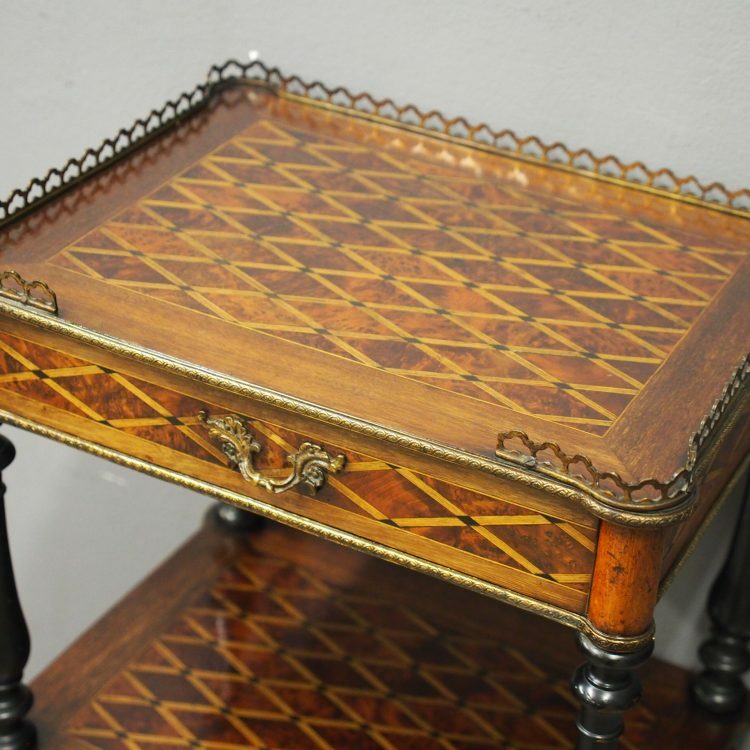 Circa 1880, French inlaid three tier etagere. 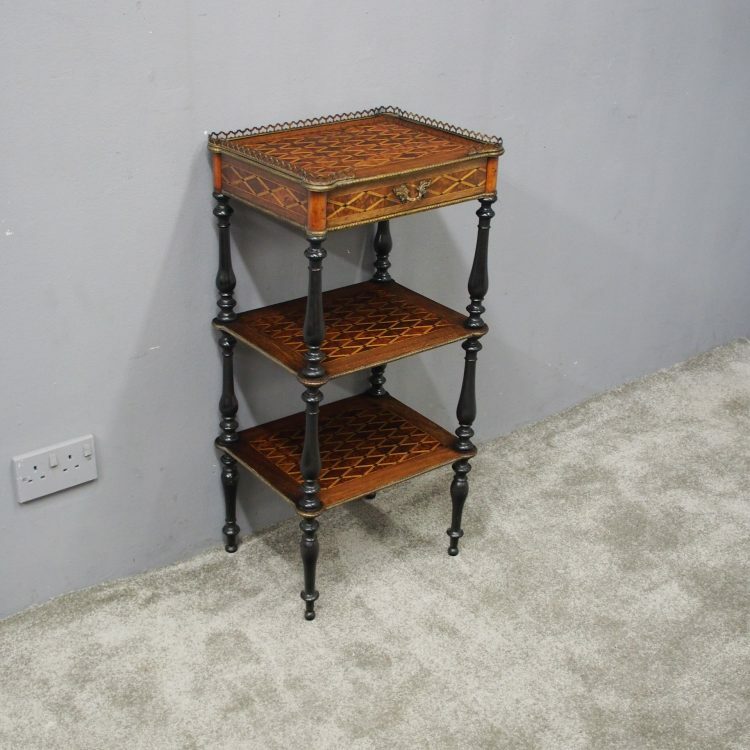 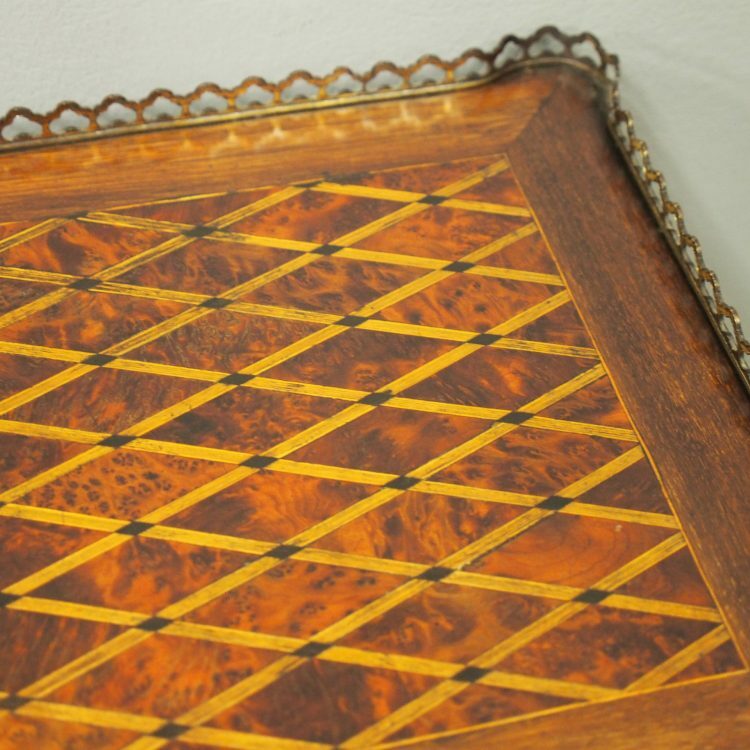 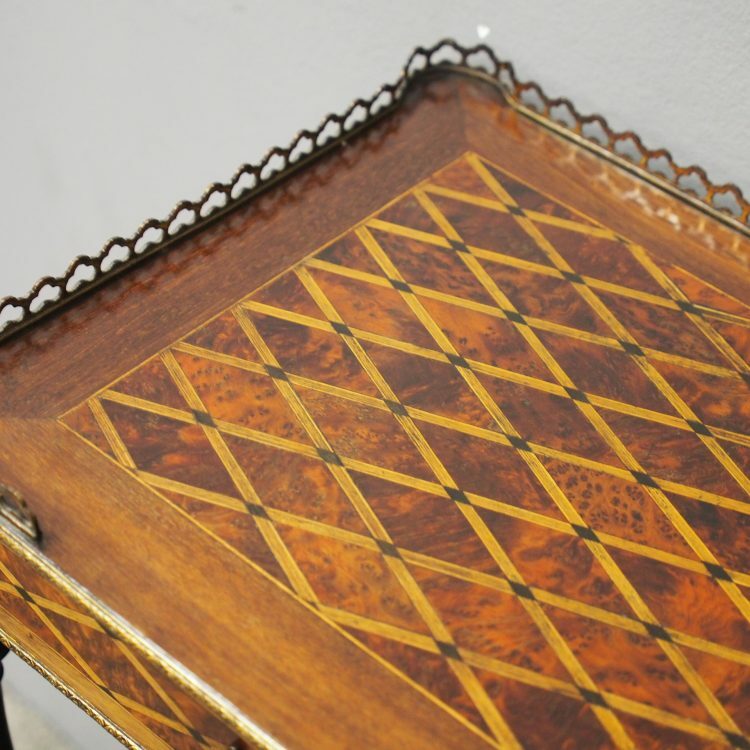 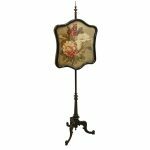 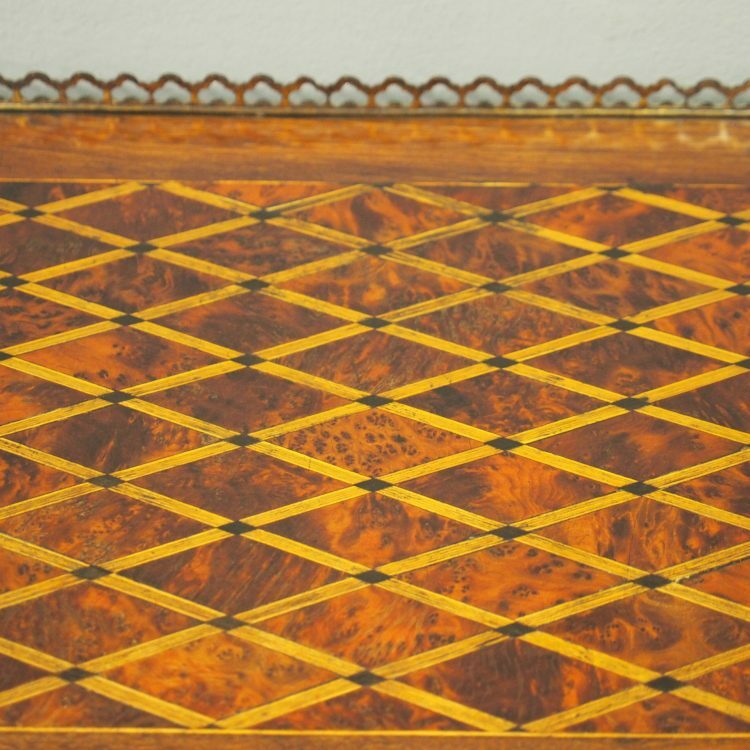 The top shelf has a fretted brass gallery and all shelves are inlaid with burr elm panels. 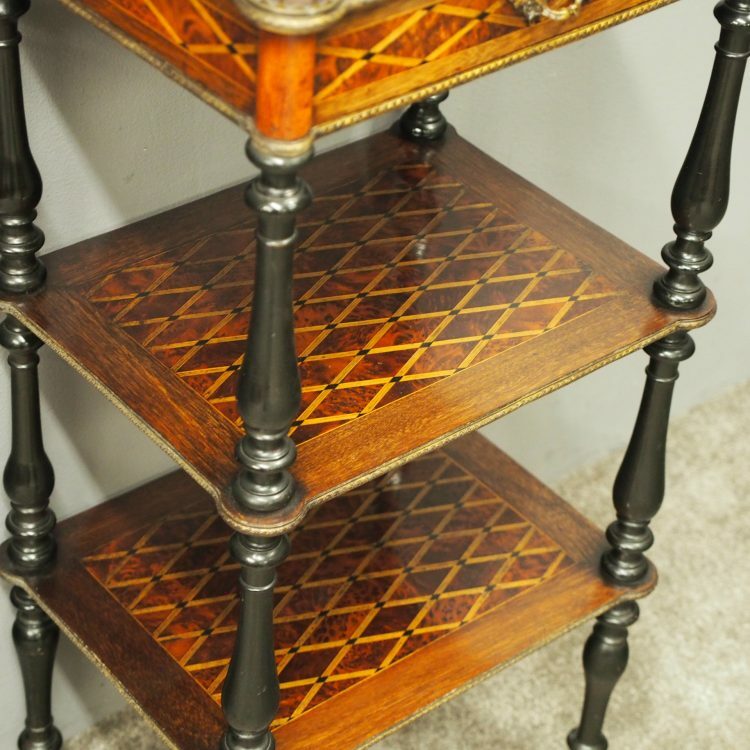 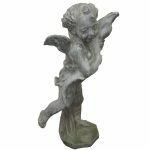 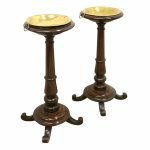 This features extensive trellis inlay surrounded by boxwood stringing and turned ebonised baluster pillars continue down to neat turned feet.